Food, culture, and history! It's all at Findlay Market! 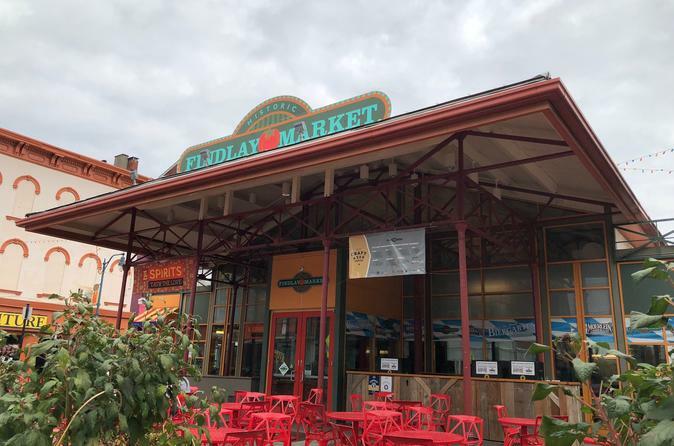 See why this municipal market is Cincinnati's most popular gathering place and the favorite destination for food lovers. Taste your way around the market during a 90-minute guided tour while you meet several market merchants and enjoy five samples. * Learn the history of Ohio's oldest continuously operating municipal market. * Taste samples and small bites as you meet five specialty merchants. * Discover hidden gems that make your Findlay Market shopping experience unique. * 90-minute guided tour, $25 per person. Saturday tours start at 3 pm. * Tour begins at Findlay Market, 1801 Race Street, Cincinnati, OH 45202. We meet at the Information Desk inside the Findlay Market building and directly across from Taste of Belgium. A map is available at www.findlaymarket.org/map. Note: Plan to be on your feet for 90 minutes. We walk the equivalents of 2-3 city blocks. Not recommended for those who find walking difficult.